"There can be no democracy without truth. 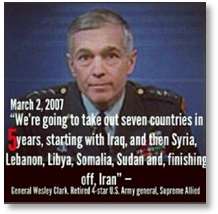 There can be no truth without controversy"
“We’re going to take out 7 countries in 5 years, starting with Iraq, and then Syria, Lebanon, Libya, Somalia, Sudan and, finishing off, Iran.” General Wesley Clark. 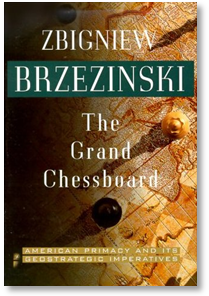 Retired 4-star U.S. Army general, Supreme Allied Commander of NATO during the 1999 War on Yugoslavia. 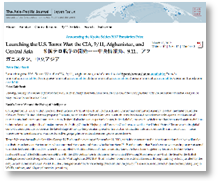 “A power that dominates Eurasia [the Middle East] would control two of the world’s three most advanced and economically productive regions … Eurasia accounts for about three-fourths of the world’s known energy resources … reserves of natural gas and oil … For America, the chief geopolitical prize is Eurasia …. It is imperative that no Eurasian challenger emerges, capable of dominating Eurasia and thus of also challenging America…. 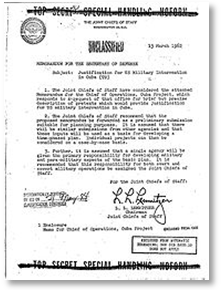 “I have called these events deep events – events deeply rooted in illegal covert activity in various branches of US intelligence …. 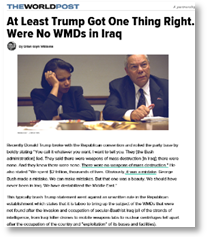 [A]ll have been swiftly followed by America’s engagement in ill-considered wars … and with a predictable accompanying pattern of official cover-ups backed up by amazing media malfunction and dishonest best-selling books …. 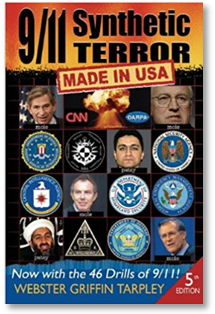 “While it is widely recognized that the CIA sponsored bin Laden’s networks [al Qaeda] in Afghanistan during the Cold War … the Pentagon, CIA and State Department maintained intimate ties to al-Qaeda militants as late as 2001 …. 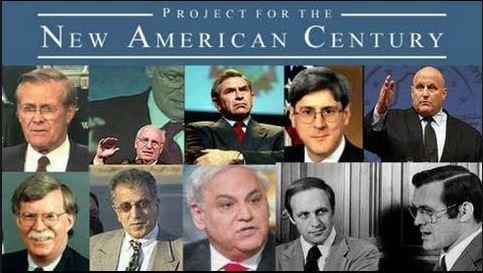 “Ayman al-Zawahiri, current head of al Qaeda and Osama bin Laden’s deputy at the time, had innumerable, regular meetings at the U.S. embassy in Baku, Azerbaijan, with U.S. military and intelligence officials between 1997 and 2001, as part of an operation known as ‘Gladio B’…. [Al-Zawahiri] as well as various members of the bin Laden family and other mujahideen, were transported on NATO planes to various parts of Central Asia and the Balkans to participate in Pentagon-backed destabilization operations .… [T]his and related revelations had been confirmed by senior Pentagon and MI6 officials. “Other intelligence experts agree that Edmonds had stumbled upon a criminal conspiracy at the heart of the American judicial system … [and] how the CIA and the Pentagon had been running a series of covert operations supporting Islamist militant networks linked to Osama bin Laden right up to 9/11. 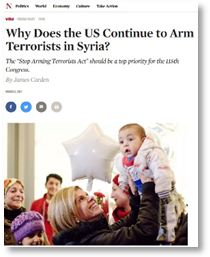 “… the Stop Arming Terrorist Act … would put an end to the counterproductive, unaccountable, and immoral CIA ‘train and equip’ program in Syria … [The Act] would prohibit ‘the use of federal agency funds to provide covered [covert] assistance to: (1) Al Qaeda, Jabhat Fateh al-Sham, the Islamic State of Iraq and the Levant (ISIL)’ …. Incredibly, after nearly six years of war, the US government continues to fund rebel groups that, far from being moderate, often subscribe to an Islamist ideology”. 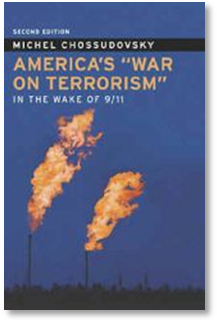 “A secret military strategy that targets domestic populations with terrorism does indeed exist. It is called the ‘strategy of tension.’ And it was implemented by Western democracies .… A terrorist attack in a public place … is the typical technique through which the strategy of tension is implemented. After the attack … the secret agents who carried out the crime blame it on a political opponent by removing and planting evidence. 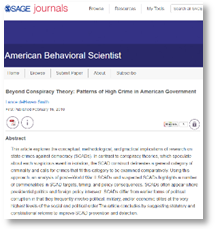 “New research in the journal American Behavioral Scientist (Sage publications, February 2010) addresses the concept of ‘State Crimes Against Democracy’ (SCAD). Professor Lance deHaven-Smith from Florida State University writes that SCADs involve high-level government officials, often in combination with private interests, which engage in covert activities for political advantages and power. 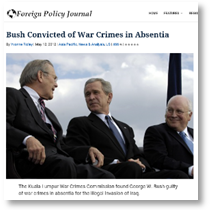 “At the end of the week-long hearing, the five-panel tribunal [of the Kuala Lumpur War Crimes Commission] unanimously delivered guilty verdicts against Bush, Cheney, Rumsfeld and their key legal advisers who were all convicted as war criminals for torture and cruel, inhumane and degrading treatment …. 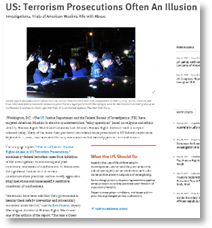 The prosecution had established beyond a reasonable doubt that the accused persons, former President George Bush and his co-conspirators, engaged in a web of instructions, memos, directives, legal advice and action that established a common plan and purpose, joint enterprise and/or conspiracy to commit the crimes of Torture and War Crimes, including and not limited to a common plan and purpose to commit the following crimes in relation to the “War on Terror” and the wars launched by the U.S. and others in Afghanistan and Iraq …. 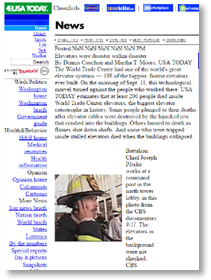 “[A] ‘power down’ [of WTC] on the weekend of Sept. 8 and 9, 2001 … all security cameras and security door locks were non-operational for about 36 hours … unprecedented …. ‘There were guys in work clothes with huge tool boxes and reels of cable walking around the building that weekend’ … bomb-sniffing dogs, [were] removed on Sept. 6 …. “If the real authorship of state-sponsored terrorism is to be successfully concealed, then a collection of scapegoats is the first ingredient required. These may be defined as the patsies, or alternatively as fall-guys [or ‘lone-wolf’] …. 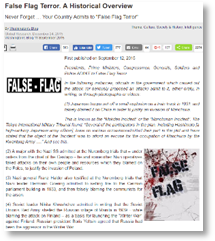 Because the patsies are usually such low grade subjects they require comprehensive support … [they] will assume a distinct ideological or religious coloration and will advertise it, and that will become the key to the process of creating or reinforcing the enemy image desired by the terrorist controllers after the terrorist action has been successfully carried out …. “They must attract lots of attention …. 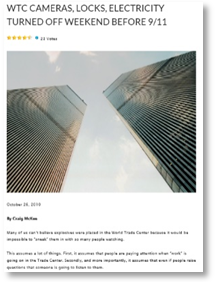 They need to get into fights with passersby, as Mohammed Atta is said to have done concerning a parking space at the airport in Maine early in the morning on September 11. Even if they are presumed dead they must remain prominent, as in the case of Atta’s passport, which is alleged by the FBI to have survived the fiery collapse of the World Trade Center towers to be found undamaged and unsinged on a nearby street. 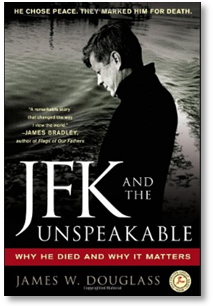 Even when presumed dead they must be eloquent about themselves and their activities, as they accused 9/11 hijackers when they left behind a copy of the Koran, airline schedules, terrorist literature and videotapes, and Atta’s crudely forged last will and testament in a car and in luggage. “Despite the need to be noticed as much as possible, the patsies have to stay out of jail. If they are all in jail, the planned terror action cannot take place. This is not because the patsies are needed to carry it out, but rather because they must be on hand in order to be blamed for it, whether they are on the scene or far away …. To keep the patsies out of jail so they can serve their vital purpose is the job of the moles [inside agents] …. 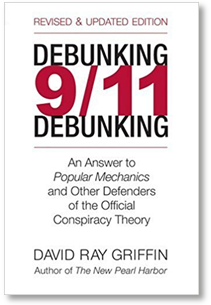 “Another popular argument is that in any ‘vast conspiracy…there’s the likelihood that someone along the chain would squeal.’ Even this administration – (defenders of the official story argue) – ‘could never have acquiesced in so much human slaughter and kept it a secret. Especially when so many people would have to have been involved.’ Although this argument may seem strong at first glance, it becomes less impressive under examination. “This argument is, for one thing, based partly on the belief that it is impossible for big government operations to be kept secret very long. However, the Manhattan Project to create an atomic bomb, which involved some 100,000 people, was kept secret for several years. 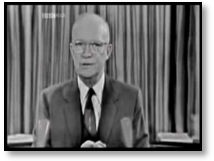 Also, the United States provoked and participated in a civil war in Indonesia in 1957 that resulted in some 40,000 deaths, but this illegal war was kept secret from the American people until a book about it appeared in 1995. It also must be remembered that if the government has kept several other big operations hidden, we by definition do not know about them. We cannot claim to know, in any case, that the government could not keep a big and ugly operation secret for a long time. 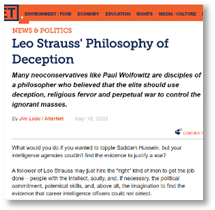 “A second reason to question this a priori objection is that the details of the 9/11 operation would have been known by only a few individuals in key planning positions. Also, they would have been people with a proven ability to keep their mouths shut. Everyone directly complicit in the operation, moreover, would be highly motivated to avoid public disgrace and the death penalty. The claim that one of these people would have come forward by now is irrational. “When people suggest that whistleblowers would have come forward, of course, they usually have in mind people who, without being complicit in the operation, came to know about it afterward, perhaps realizing that some order they had carried out played a part in the overall operation. Many such people could be kept silent merely by the order to do so, along with the knowledge that if they disobeyed the order, they would be sent to prison or at least lose their jobs. (See Kevin Ryan as an example of this.) For people for whom that would be insufficient intimidation, there can be threats to their families. How many people who have expressed certainty about whistleblowers would, if they or their families or their jobs would be endangered by coming forward with inside information, do so? 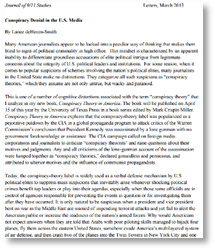 There is an historical context that also supports the alternate conspiracy theory. Why do we often resist this information? *Note: Youtube's suggested video playlist at the end of videos is beyond our control and therefore not necessarily recommended. Content and images reproduced in this website are for research and educational purposes allowed under the Fair Use Act.